Don’t hesitate to hold out for a base car. Dealerships are likely to be well stocked with dressed-up Luxury, Modern, and Sport versions saddled with thousands of dollars of options, but the equipment on base 328i and 335i models is impressive—and they feel like good values relative to other sport sedans in its class. The 2012 BMW 3-Series delivers the class-leading sport-sedan performance and handling enthusiasts have come to expect, yet it makes substantial improvements in fuel-efficiency, active safety, and connectivity. The BMW 3-Series has an unparalleled reputation as the dynamic benchmark among sport sedans. Yet with increasing pressure from the market not only to bring more connectivity, technology, and style into cabins, but also to increase gas mileage, is it possible to maintain the 3's poise while also meeting luxury-shopper expectations? Surprisingly, yes. For 2012, the sixth-generation 3-Series arrives—in sedan form—and BMW has carefully found a line that should appease sport-sedan shoppers and longtime BMW fans alike. The automaker has made the 3-Series slightly larger and allowed a number of advanced-tech options to trickle down from the 5- and 7-Series models, while being careful not to obscure the responsive powertrains, phenomenal agility and dynamic balance, and the driver's seat thrills that have made the 3er such a longtime benchmark. Coupes, convertibles, and the M3 all continue for 2012 under the current E90 versions, and they're unchanged (for the Coupes and Convertibles, please see our review here), but sedans are completely redesigned (and code-named F30 for enthusiasts)—and distinguished at first glance by their larger greenhouse, more actively sculpted flanks, and wider front-end look. The new 2012 3-Series sedans are nearly four inches longer than the previous models, with two inches of extra wheelbase; about an inch of that goes to increased rear legroom, and that extra bit goes a long way. The 3-Series still isn't good for having adults ride in the back seat on long road trips, but most will now find it tight but tolerable back there. Front seats, whether the base perches or the more heavily bolstered ones that come with the Sport package, are supportive, comfortable, and adjustable for a wide range. For several of its generations, the 3-Series has been powered only by in-line six-cylinder engines. But for 2012 the 3-Series gets an all-new turbocharged four-cylinder engine in 328i models. The new engine makes 240 horsepower and 260 pound-feet of torque—more than many V-6 engines—yet it hits EPA highway ratings of up to 36 mpg. That's made possible in part due to a new eight-speed automatic transmission (a six-speed manual is standard), along with a host of high-tech improvements, including Auto Start-Stop, which smartly stops the engine at stoplights to save fuel, restarting when you lift off the brake. 335i models get the latest version of BMW's turbocharged 3.0-liter six-cylinder engine, making 300 horsepower and 300 pound-feet of torque. No need to worry about losing two cylinders; any way you use it, the new four-cylinder 328i feels stronger than the six-cylinder model before it; 0-60 times clock at as little as 5.7 seconds (just 0.3 seconds faster than the 335i), and rolling into the throttle produces a strong wave of torque from just above idle (peak is reached at just 1,250 rpm) all the way up the rev range. The automatic is quick-shifting and in some models includes paddle-shifters, while the manual is enjoyable to drive with its clean, precise shift action. All the rest of what makes a good sport sedan is here; new electric power steering systems are nothing to be afraid of as they're precise and load nicely, while brakes are strong and fade-free, no matter which model. Structurally, the 3-Series is made of more aluminum and high-strength steel than before; despite being larger and carrying more features, the new sedans weigh about 88 pounds less than their predecessors. iDrive is now de rigueur on all 3-Series models, but it's the latest version with streamlined menus, and a new BMW Apps integration—enabling music streaming from Pandora and MOG—lets you use your smartphone's data stream. The down side is that requires a $250 smartphone holder, and it's only compatible with versions of the iPhone. Many more of the high-tech features that BMW introduced in its 7-Series and 5-Series models a number of years ago has trickled down to the new version of the 3-Series as well—items like a head-up display (HUD), blind-spot detection, a collision-warning system, and a parking assistant are all now available. The navigation system now has real-time traffic information and excellent 3D topographical views. The 2012 BMW 3-Series sedans look sleek, trim, and athletic—as sport sedans should—although their interiors appear busy in some trims. The 2012 BMW 3-Series is unmistakeable as a BMW, yet it makes some visual departures from the outgoing E90 version. Most notably, its (and roofline) look—and are—longer, without being impractically low and swoopy. The 3-Series also gets a more dynamic, upwardly rising beltline that runs through the sheetmetal of its flanks—which roughly pairs with the character line that helps visually lower the hoodline. But at the same time, the actual doorlines (and windows) are quite level, with more of a greenhouse than you might expect in such a design. It's a refreshing departure from the increasingly claustrophobic, high-beltline designs that have dominated sport-sedan design for many years now. We think the new 3-Series wears the current BMW-family front end better than any of the other models in the lineup; the familiar kidney grille is spread wide here, as are the nicely detailed headlamps that stretch around the corners, altogether giving it a wide, aggressive look from the front. At the rear, the new design of the 3-Series is at its most traditional and conservative, but there's nothing bad about it. On the inside, there's really nothing retro or nostalgic about it; the new 3er is leaps and bounds ahead of its predecessor in terms of visual appeal. The slim, tablet-like optional widescreen display on the dash stands alone but fits right in. The understated but high-tech-looking appliques on the face of the dashboard, done in brushed aluminum or wood, are likewise noticeable but right at home. The new interior provides a coherence and forward-looking aesthetic missing from the last model. There are also a wide range of new options, including a tan dashboard, that weren't available on the previous model. Three different trim lines—Luxury, Modern, and Sport—each include a distinctive look and feel. For instance, Sport cars have blacked-out detailing and red accents; Luxury-line cars come with chromed grille slats and more chrome on the outside, and glossy wood trim on the inside; Modern-line cars include satin-aluminum for the grille and brightwork, with dark oyster or black leather inside, combined with pearl trim and wood inlays. With all the clever cut lines and transitioning surfaces inside, there's a lot of visual excitement, and that's mostly a good thing. But compared to the previous E90 version of the 3-Series, we couldn't help but think the instrument panel and door trim felt a little busy in some of its variations—especially some of the Modern and Luxury combos. The 2012 BMW 3-Series sets the bar ever higher, with strong, efficient new powertrains—plus handling that’s as confident on the commute as it is on the racetrack. The BMW 3-Series has pretty much been the benchmark for sport sedans—for decades. And with this generation, the 3-Series makes some major tech advances to add efficiency and safety—yet thankfully, the 3-Series emerges with its distinct behind-the-wheel character intact. First off, the 3-Series goes to an all-turbocharged lineup. Don't let the nomenclature confuse you, as the last two digits of BMW model numbers no longer correspond to engine size; the 328i comes with a new 2.0-liter four-cylinder engine, while the latest N55 version of BMW's 3.0-liter in-line six is packed into the 335i. The 328i feels quite strong on the road and can, in manual-transmission form, get to 60 mph in just 5.7 seconds with the manual transmission; that's only 0.3 faster than the 335i. The 328i's four makes 240 horsepower and 260 pound-feet of torque, while the six in the 335i makes 300 hp and 300 lb-ft. Both engines have twin-scroll turbocharging to deliver boost very quickly—so quickly that you probably won't guess that they're turbos. Even the four in the 328i churns out the torque at low rpm; peak happens at just 1,250 rpm. All 3-Series models include a Driving Dynamics Control selector that dictates the car's behavior based on the conditions and selected preference. Drivers can select from Eco Pro, Comfort, Sport, and Sport+ modes that change throttle tip-in, transmission shift points, steering weight, and in Sport+, dials in more slip into the rear tires and activates an electronic limited-slip differential to give rear wheels more traction. The 3-Series now boasts an electric power steering assist system that removes hydraulic belts from the engine, reducing parasitic horsepower loss and marginally improving fuel economy. The electric system is the way of the future, clearly, and automakers like BMW have given us promise with their new systems. All 3-Series models now get an electric power steering system that loads and unloads nicely, and gives you—when you finally reach the 3's impressive limits of grip—a little feedback from the road. We'd only wish for a little more sense of the roadway surface before you approach those limits, which is what the hydraulic steering in the former F90 provided. Variable Sports steering permits easier parking along with sharper handling, by altering the ratio mechanically (avoiding the digital transitions that sometimes make electric power steering systems frustrating. 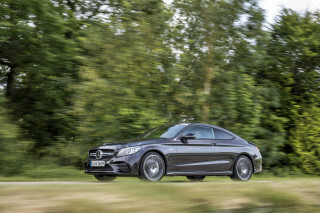 With either of the models, a six-speed manual gearbox is standard, while an eight-speed automatic is available. Sport-model automatics come with special programming for faster shifts. It's so good out on the racetrack that we might actually choose the automatic over the manual, but overall, we'd have to go for the precise-feeling six-speed manual for the inspiration it brings daily driving. As you might guess, the 3-Series comes with some of the best stoppers in the business; the brakes proved strong on both the highway and the track. Over countless laps at California's Mazda Laguna Seca Raceway, we didn't encounter any fade. The 3-Series can be fitted with an optional M Sport package that lowers the ride height, firms up the springs and dampers, and adds stiffer anti-roll bars with bigger wheels. Predictably, it helps the 3-Series corner flatter and sharper, and when combined with optional adjustable dampers, makes the 3-Series an absolute riot to drive. It's worth mentioning that we enjoy the base setup of the car and were impressed with its performance, these improvements are really only for track-day use anyway. 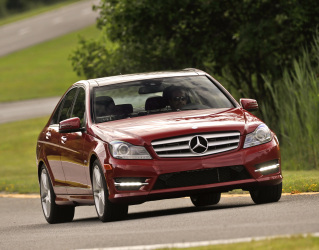 All-wheel-drive versions of both models will be available this fall, as 2013 models. 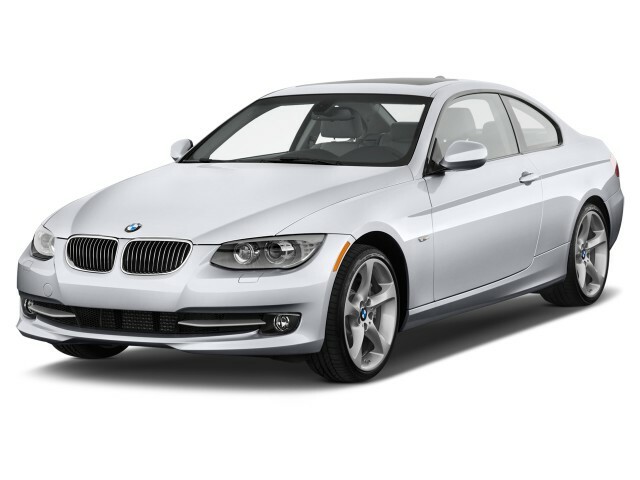 While performance is the primary focus of the 2012 BMW 3-Series, you don’t pay any price for it in comfort or refinement. The 2012 BMW 3-Series is still very much a compact sedan—and a sport sedan at that, which means that interior space could potentially take second stage to hitting the perfect proportions and weight distribution for performance. Luckily, BMW has hit those targets while also making the new 3-Series just a little bit roomier inside. At about 183 inches long—a few inches longer than the previous version—the 3-Series is still very much compact by U.S. standards. About two inches of that new length goes to wheelbase, and that translates almost directly to extra legroom in back. The extra inch or so the new 3-Series earns in back, combined with better seat contouring, now means that it's possible to fit adults in back, though longer-legged types will still likely be splaying their knees to the side (and ducking heads on entry/exit). If you plan to travel vast distances with a passenger more in the back seat, you could do much better. That said, it'll fit the kids and even some smaller adults just fine, and, after all, it's a 3-Series, not an executive limo. In front, there's enough space for those of nearly any size or body type to get comfortable, thanks to a very wide range of adjustability, whether you get the base seats or the Sport model's upgraded seats with extending thigh bolsters plus stronger side bolstering. While the decklid itself is rather small—as it the opening, for large items—trunk space is impressive. And just as with several other new-car models, you can make a short movement with your foot under the rear bumper to unlock (and open, with spring force) the trunk. Ergonomically, the 3-Series feels well designed, and the latest version of iDrive—which requires you to use a multi-way controller down on the center console to navigate menus for non-essential functions—is much easier to intuit. And at this time when everyone is adding more buttons to the steering wheel, the design in the 2012 BMW 3-Series is refreshingly simple. 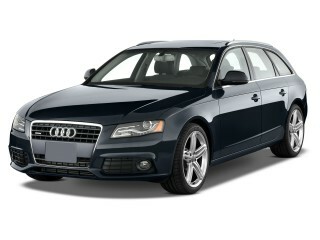 Although the design speaks “luxury” more than “sport sedan,” we like the thick rim and smaller-diameter feel. Ride quality is superb in the 3-Series models; while the base 328i setup is definitely the most isolated, thanks mainly to its slightly higher-profile tires, you don't sacrifice all that much in going with one of the sportier tire and wheel combinations. You'll find a bit of road noise in the 3-Series on some of the coarser surfaces, but it's nothing compared to some other models in this class like the Infiniti G37 or Lexus IS 350. There's no engine noise at cruising speeds with either of the 3-Series models; they're geared about the same, which brings the four-cylinder into a very low rpm range for highway cruising—and assures an excellent EPA highway rating of 34 or 36 mpg. The engine sound from the 328i is a bit unfortunate, though. In lower-rpm puttering around town, we noticed a distinct direct-injection clatter. Six-cylinder models have a little more song in their breathing—and a more pleasant tone in general—to help cancel out those mechanical noises. The 2012 BMW 3-Series sedans are all-new and yet untested—but they include quite the roster of features and options to avoid an accident in the first place. Since the 3-Series, in sedan form, is an all-new model for 2012, it hasn't yet been rated by either of the major U.S. crash-test agencies. However, Coupe and Convertible versions carry over in their previous E90 forms for one more year, and earn a “good” score for frontal impact and a “marginal” score for side impact from the Insurance Institute for Highway Safety (IIHS). The 3-Series sedans have a completely new structure with more aluminum than ever before, along with ultra-high tensile steels, to help make it light yet protective. Active safety features are available this year and include options such as blind-spot monitors, lane-departure warning, and forward collision warning. The 3-Series also includes an emergency services notification system that alerts first responders in a severe crash. A rearview camera is bundled in a parking assistance package that includes a surround-view camera system that stitches together many camera angles to provide a bird's-eye view of the car when parking in tight spaces. 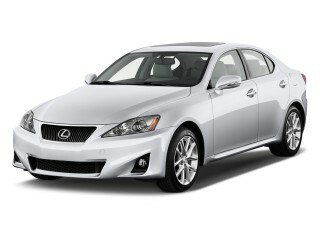 All 2012 3-Series models include front and front side airbags, plus side head airbags covering both rows. With a vast set of tech, appearance, and performance options, you can truly build the 2012 3-Series you want. 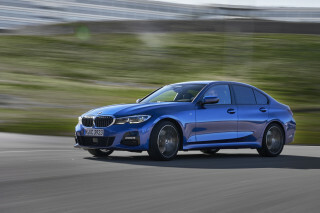 Thanks to a very extensive list of features and options, the new BMW 3-Series can play many roles, ranging from a relatively sensible sport sedan up to a distinctive luxury sedan or a performance machine ready for track day. If you load up a 3-Series with options, you add about $15k to the bottom line, but they're now a stronger value than before in base 328i or 335i guise. 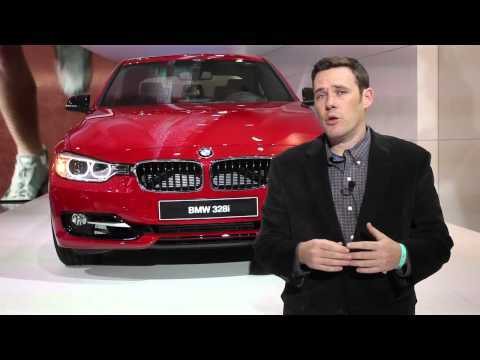 Both base 3-Series models include an impressive list of features, like a moonroof, automatic climate control, dynamic cruise control, ambient lighting, and fog lamps, as well as HD Radio and satellite radio prep. And at last, Bluetooth hands-free and USB audio capabilities are built into all models. Base 335i models add a few more features, including larger 18-inch alloys, power front seats, and xenon headlamps with adaptive light control. In addition to that base equipment, 3-Series models can be dressed up in Luxury Line, Modern Line, and Sport Line guise. Each version adds $1,400, up to several thousand, to the sticker price, but in return you get some distinct trim—some of which feels like it could be from a much more expensive vehicle. Tap into the options list, and you'll find a number of features that add either more luxury, or advanced-tech appeal. BMW claims that the 2012 3-Series is the first compact sedan to offer a head-up display (HUD), which we found useful and free of secondary reflections. Heated front and rear seats, as well as a heated steering wheel and retractable headlight washers, are all part of the Cold Weather Package, and a Driver Assistance Package brings Lane Departure Warning and Active Blind Spot Detection. The Park Distance Control system is part of a Parking Package, which also includes a rear-view camera and the Side and Top View camera system. There's also a long list of a la carte items that includes performance items like the variable sport steering and Adaptive M suspension, plus items such as rear sunshades and upgraded wheels and trim. A $250 smartphone holder for Apple's iPhone is available, and will stream internet music radio such as Pandora and MOG, when equipped. The navigation system now has real-time traffic information, and we appreciated its 3D topographical views when zigzagging through mountainous terrain. The 2012 BMW 3-Series is more fuel-efficient than many sedans that are a lot less fun to drive. The 2012 BMW 3-Series makes a giant leap ahead in green sensibilities, thanks to an all-new turbocharged four-cylinder engine, in the 328i models plus a host of improvements that altogether now give the 3-Series better mileage than many “economy car” models. All 2012 3-Series sedans get Auto Start-Stop, which shuts off the engine at stoplights, as long as automatic versions are in Drive or manual versions are in a gear (with the clutch and brake depressed). All models also get the Brake Energy Regeneration system that BMW has already installed in some of its other models; it saves the most aggressive operation of the alternator for when you brake, to help aid fuel efficiency the rest of the time. The air conditioning also includes a new “smart” compressor; the coolant pump operated “on demand,” and there's an ECO PRO mode that includes driving-style coaching and operates ancillaries in their leanest modes. The Auto Start-Stop system can be pretty rough with the six-cylinder—delivering more of a shudder/kick than we've felt from other systems—but it's smoother with the four. There's no disputing that the net effect is great gas mileage. BMW 328i models with the automatic earn an almost incredible 24 mpg city, 36 highway (manual models are 1-2 mpg lower), while the 335i with automatic gets an excellent 23/33—those are figures on par with some four-cylinder mid-size sedans. At the time of posting, there's still no official word on whether the new BMW 3-Series will return in 335d diesel form (or whether a new four-cylinder diesel will be picked instead), but the automaker has said that there will be no U.S. 3-Series diesel until at least the 2013 model year. A joy to drive... and to own!! !